Many teachers start informal writing activities with a writing prompt about some kind of ambiguous character. "Your character is lost in the woods, "Your character is writing a note to their Valentine," "Your character is inventing," ...without giving the students an idea of who that character could be. Often it's the student themselves, which is good...other times we want our students to be able to put themselves in someone else's position, to get in someone else's head. For many students, this is a challenge without being assigned a specific character. A good way to help some of these students with this challenge is by using PEZ. Yes, PEZ. 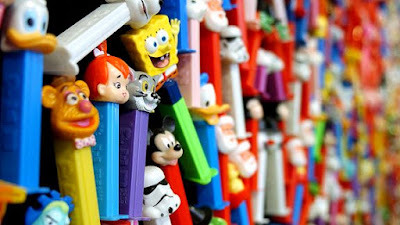 Specifically PEZ dispensers, since the PEZ candy itself...well, it's not my favorite. With over 1500 different characters over the years, and about 100 available at any given time, and at about a dollar per PEZ, it's a cheap way to get a bunch of characters together all at once. And really, what better way to get into someone's head than by using a toy that's just...a head? 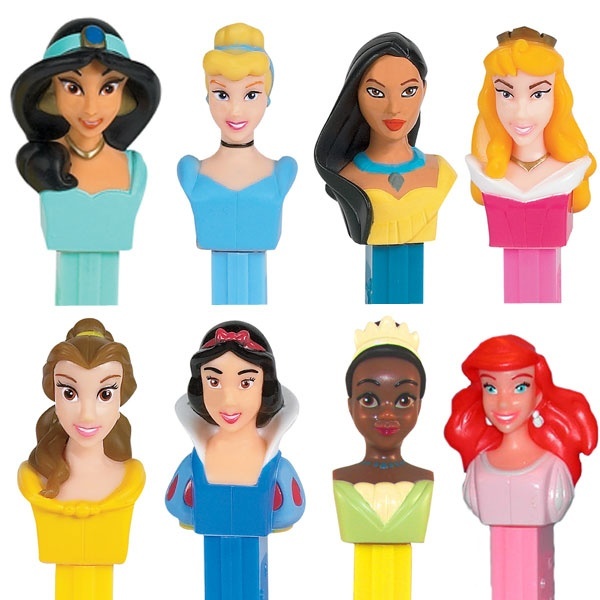 Have students take a PEZ blind, from a bag/bowl/bin they can't see into. Whichever character they get that go-round, that's who they've got. 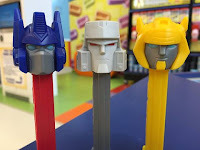 Since most PEZ these days are from different parts of pop culture, chances are good they're going to get a character they know a little bit about. That doesn't mean they need to be constrained by that character's onscreen life. So they pull out a PEZ of Rapunzel from Tangled -- they can complete the writing assignment from the perspective of Rapunzel, or another woman who would fit that description. 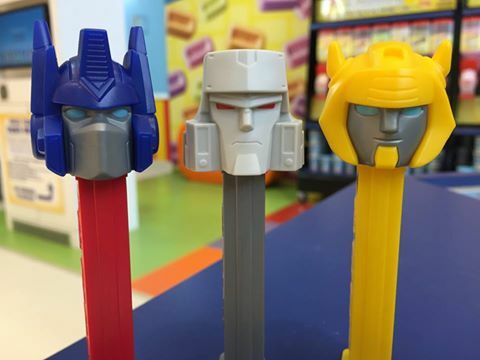 They pull out a PEZ Optimus Prime, they could write from the point of view of the leader of the Autobots, or as some kind of other robot. The Hulk? Superhero or green monster (or green really sweet and misunderstood guy). Batman. Hello Kitty. Ninja Turtles. Disney Princesses. PEZ can open creative floodgates for these students. Having them select blindly does a few things -- first, it inserts some randomness. The kid (me) who loves Star Wars might end up having to stretch himself to write about My Little Pony. Girls may have to write from a male perspective, boys from female. Chances are good that your students are human -- they might have to write as a duck (Donald), bunny (Bugs) or cat (Tom). If I were left to myself to choose the perspective to write from, it would usually be a Jedi or a Muppet. Forcing me out of my comfort zone isn't a bad thing. Second, if only for a moment, it creates some suspense. Anticipation. Not knowing who you're going to pull out of the bag, and....it's Velma from Scooby-Doo! Hope she doesn't lose her glasses. She'll totally lose her glasses. We don't use suspense as a tool enough in our classes. It gets them interested, gets them excited. The third advantage is the most simple, and the most obvious. It's silly. It's fun. It will have them talking at recess and at home about the weird thing their teacher had them do today. And they'll want to do it again. Write more. Write different. Write better. Because it's fun.